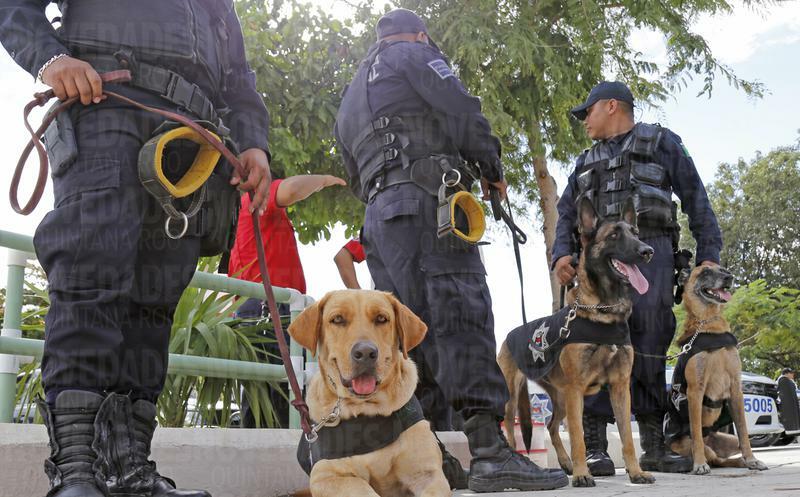 The first operation with the support of a Canine Unit was carried out in Playa del Carmen just a few days ago, during a surveillance operation on La Quinta Avenida, conducted by officers of the Municipal Police, the Naval Police and the direction of Civic Courts. One individual was arrested as he was found in possession of a plastic bag containing marijuana, as well as a teenager, who was carrying a cigar with the same type of herb, in both cases the drug was detected by the K-9 officer. 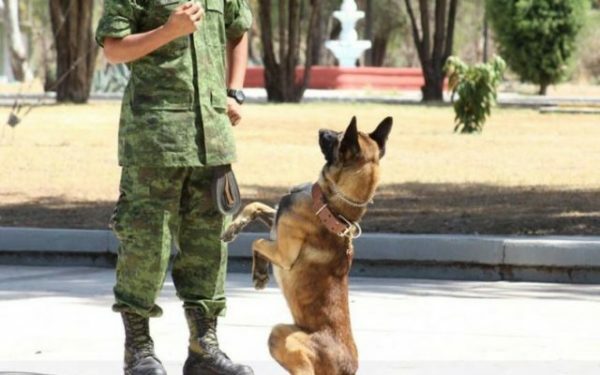 With the formation of the Canine Unit, the General Directorate of Public Safety and Traffic of the municipality of Solidaridad, headed by Martín Estrada Sánchez, reiterates the willingness to strengthen and improve the procedures in the different areas that make up the corporation, in order to provide a better service and results to the citizenship of Playa del Carmen. During the operation, agents of the Naval Police, the Municipal Police and the K-9 staff walked along La Quinta Aveinda and in the Fundadores Park, in order to make sure that families and strollers are safe and no illegal substances are being consumed or distributed in the area. During this operation, the canine officers managed to detect the presence of possible narcotics on a passing male suspect, when performing a routine check, the officers found among their clothes a plastic bag containing dried grass apparently marijuana, so the subject was transferred to the corporation to be evaluated by the doctor in order to determine his legal status. 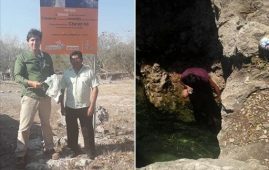 In the same way the dogs detected in a minor in possession of a marijuana cigar, for which he was placed under custody of the ministerial police, and later taken before a civic judge. 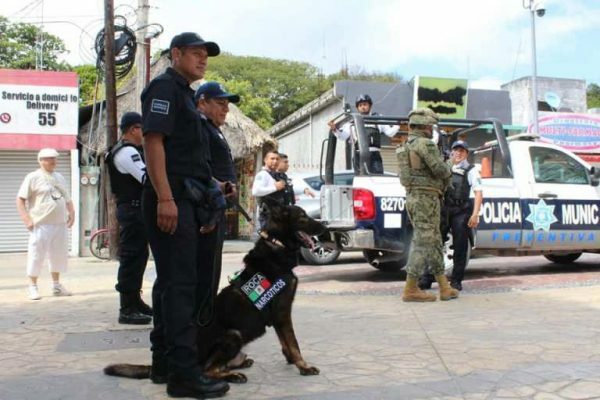 The General Directorate of Public Safety and Traffic of Solidaridad with the support of the Canine Unit will permanently maintain surveillance operations in different sectors of the city to inhibit the commission of a crime by detecting narcotics or explosive devices.